Identify the man with the famous hands. Sir John Ambrose Fleming, the British engineer who coined the Left Hand and Right Hand rules. 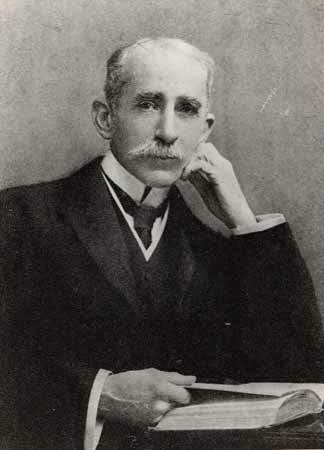 John Ambrose Fleming, of Fleming’s right-hand-rule. And the left hand rule too, as it happens..
of the Left hand, Right hand rule, fame. and the marching chant PJ. aargh. Kenneth Alford of Bogey march fame?